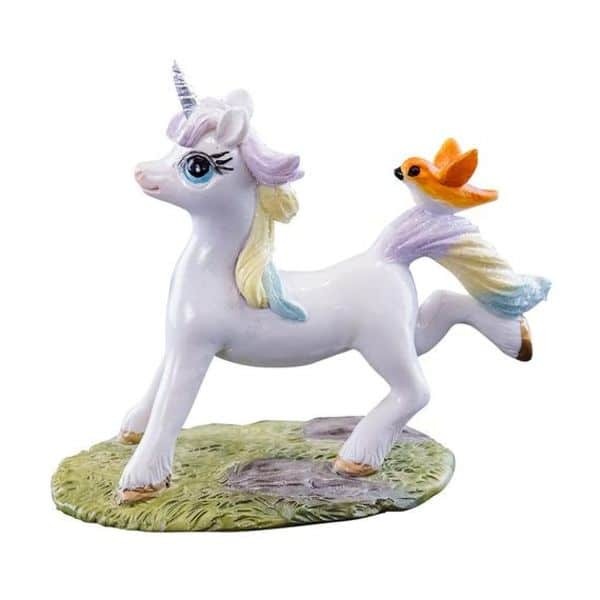 Are you an enthusiast to fairy tales and beautiful creatures? 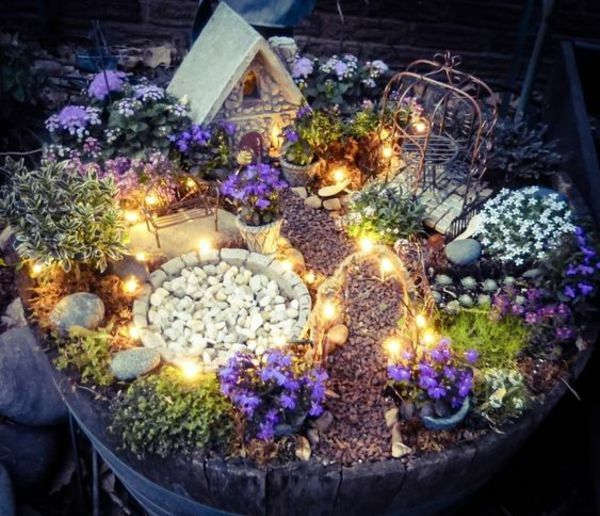 Creating a fairy garden will enhance a mystical and storytelling touch in your home. 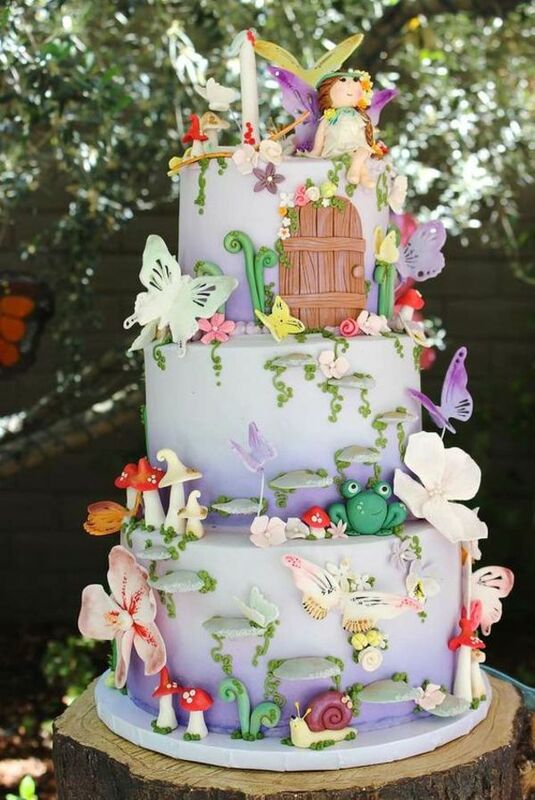 They will bring out the fairy-tale character in you. 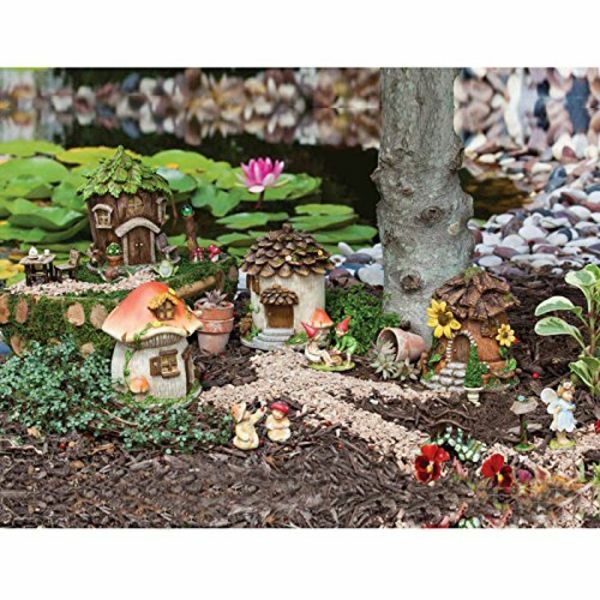 By making this fantasy gardens, you live through the magical world and experience the desirable feelings of having your imagination come true. 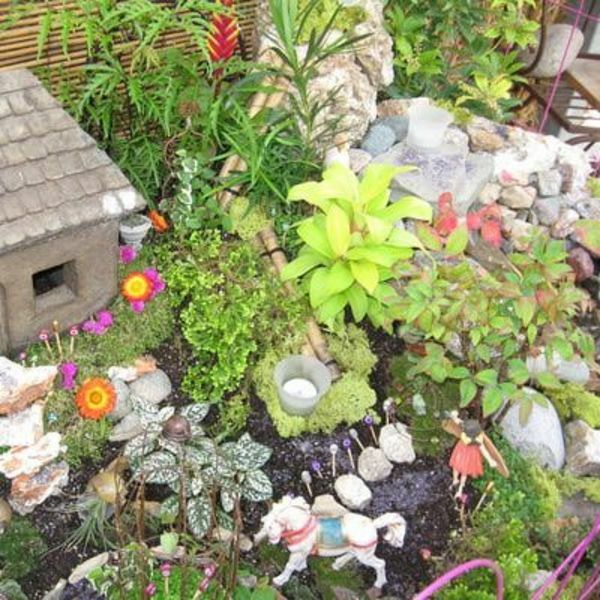 This is a small or miniature garden complete with living plants and structures. 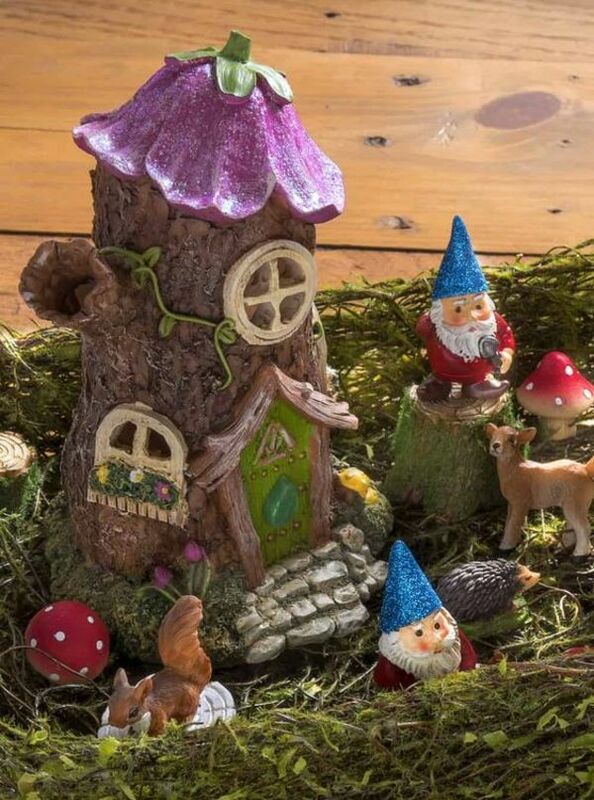 We’re talking about tiny houses, small chairs, and decorations designed to entice magical fairies in your garden. It’s a small space tended with love. 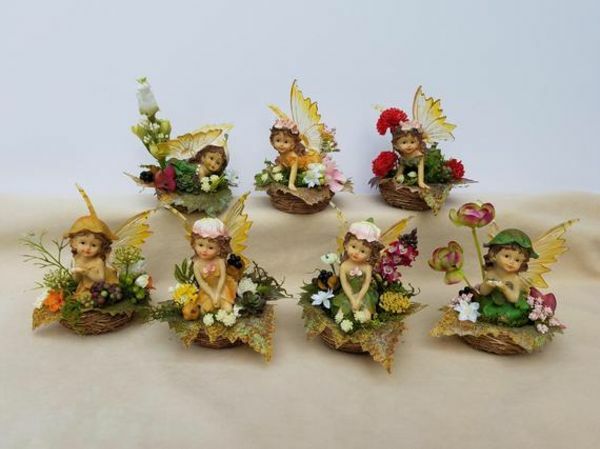 They’re beautiful and makes an excellent addition to your home garden, and designs of a fairy garden are only limited to your imaginations. 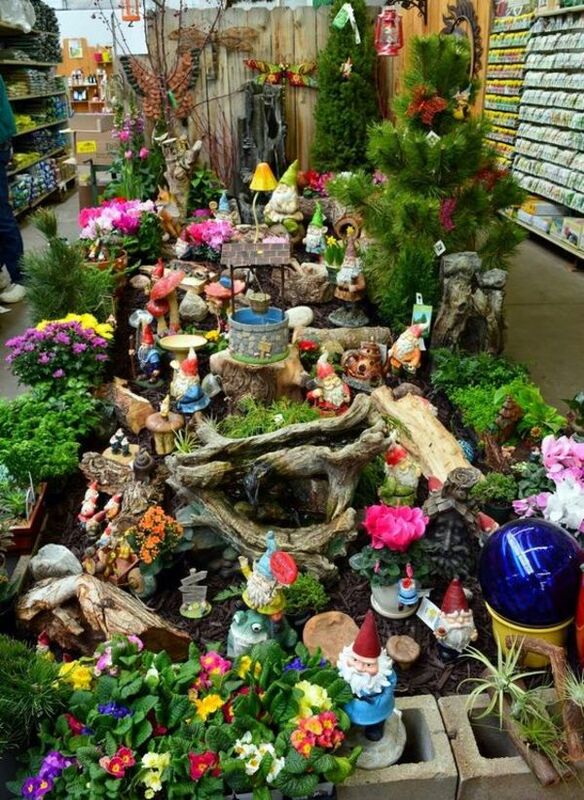 The garden ideas and designs are becoming popular with many people. They’re not only fascinating to the kids, but also to the adults. 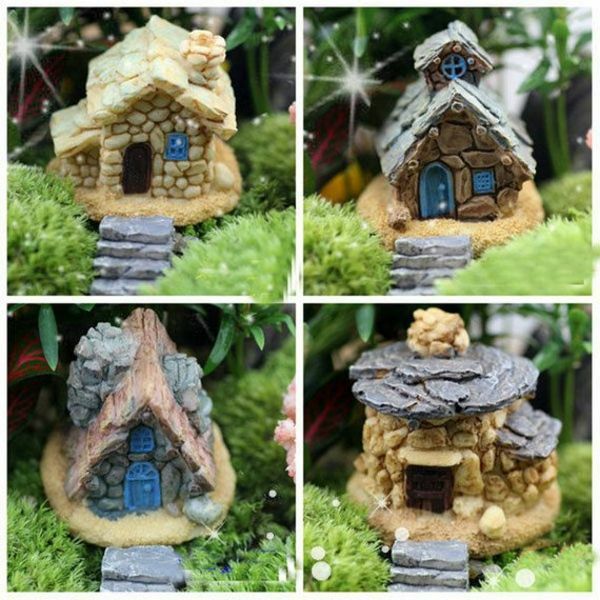 The best thing about it is that you can create Thumbelina houses from scratch or easily with a kit! 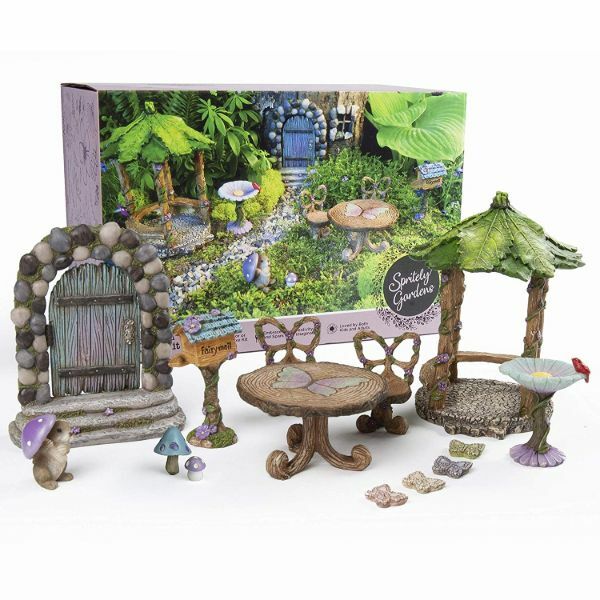 What’s in a fairy garden? 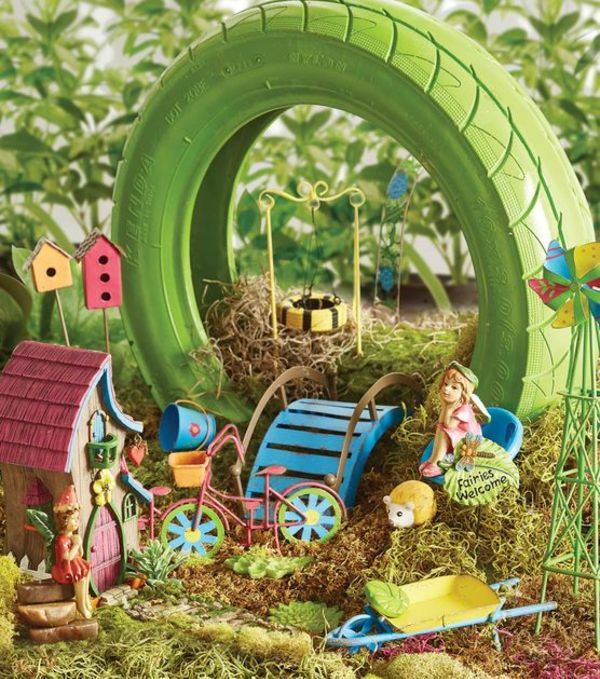 There’re over a 100 garden designs such that it will be impossible for you not to get inspired. 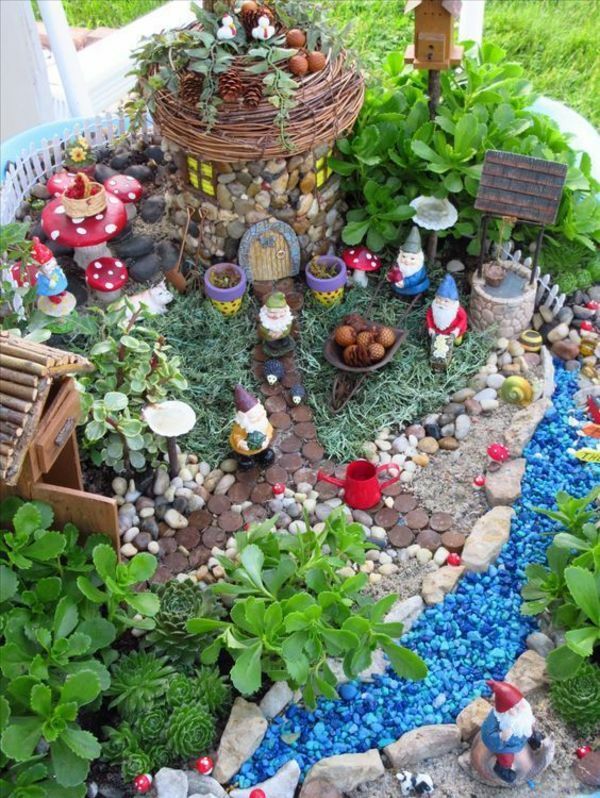 You can either create an enchanted kingdom in one corner of your garden or opt for mini versions. 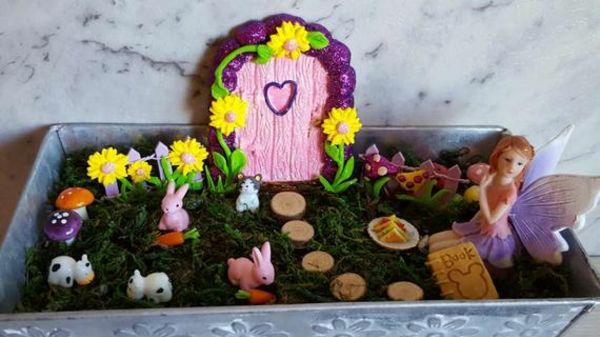 Either way, it’s simple to craft these gardens by yourself. 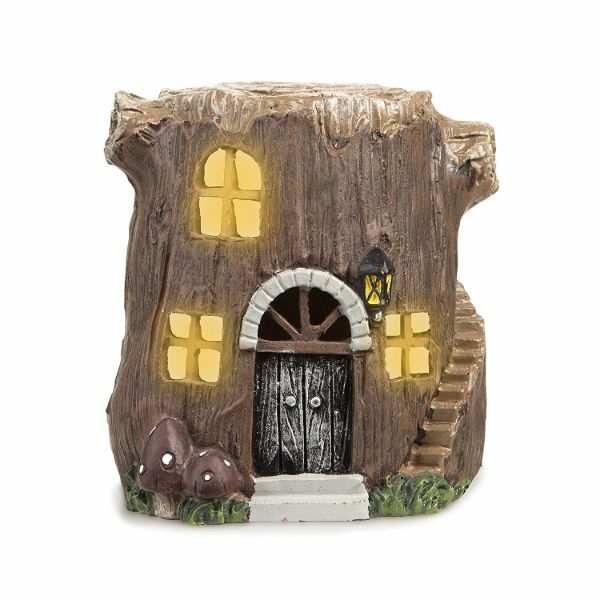 Paint a door on a tree, then add elements such as windows, paths, stairs, and balconies. 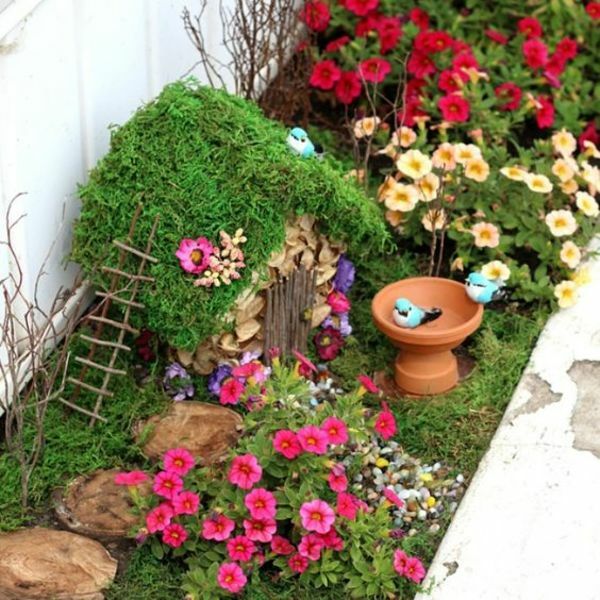 Build small houses and place them around an old stump or tree. 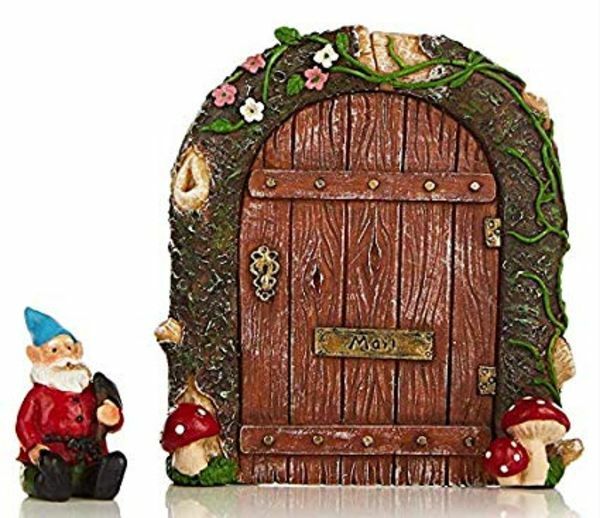 Make the door oval or round to add a magical touch to your fantasy garden. 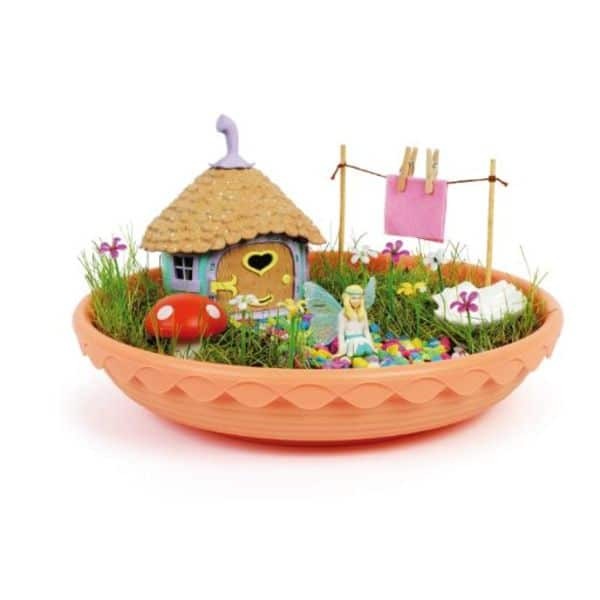 There are two main types of fairy gardens: indoor and outdoor fairy gardens. 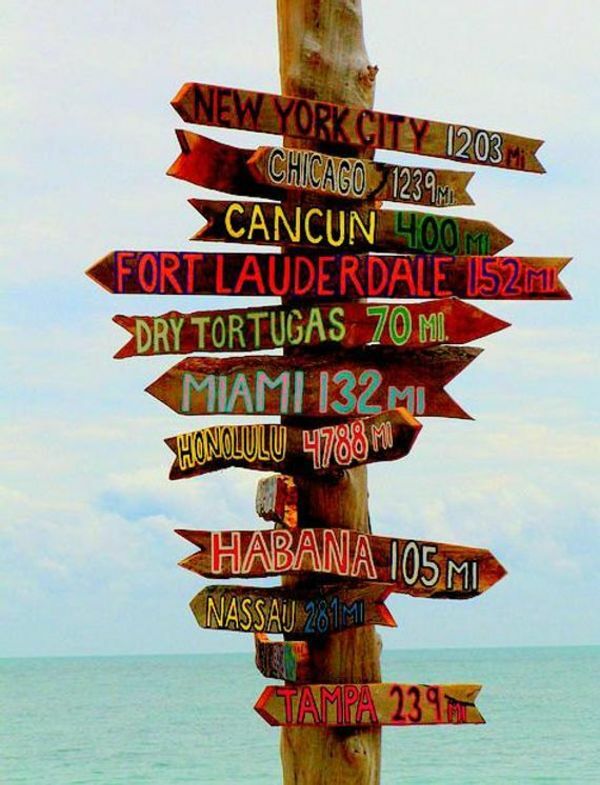 We will layout how you can make them below. 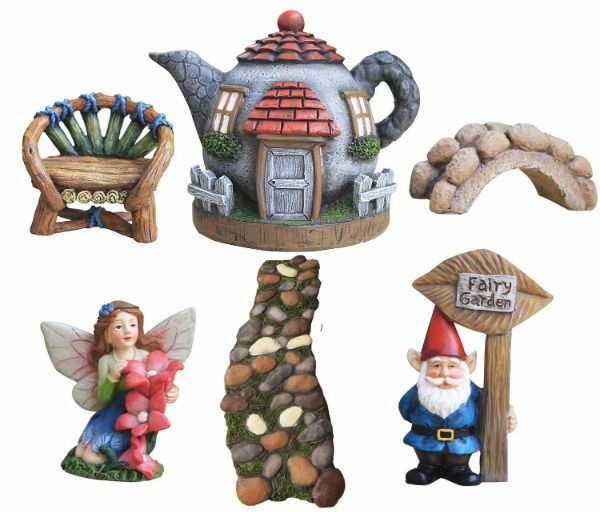 The first idea in creating fantasy gardens is collecting fairy accessories and materials you need in your project. 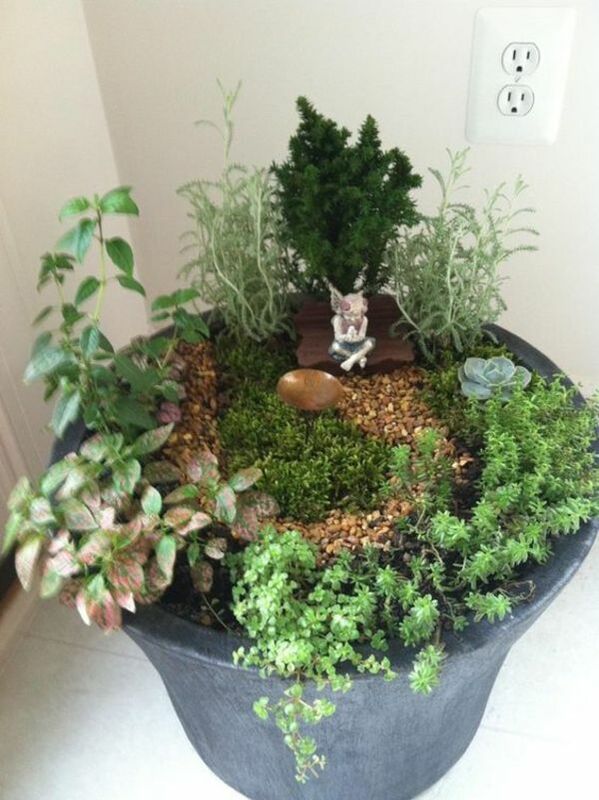 They include containers with good drainage holes, plants, and high-quality potting soil. 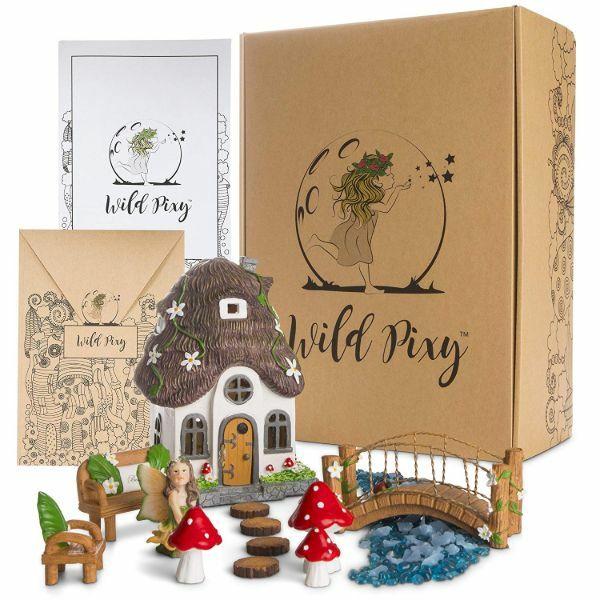 Accessories may include miniature furniture’, fairy figurines, decors, and pebbles. 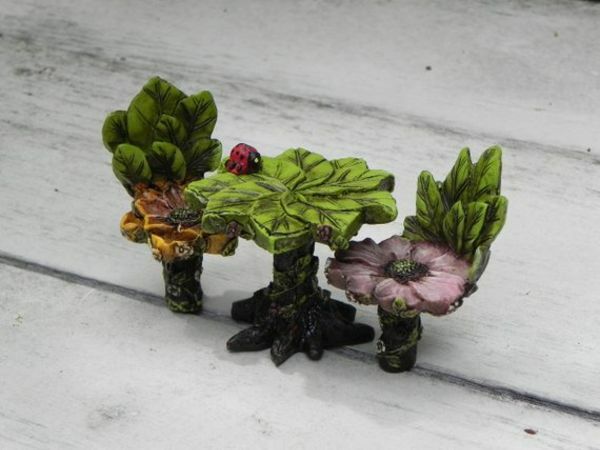 Choose a unique spot in your garden such as near the bench or under a tree. The location should be well-protected from heavy rain, direct afternoon sunlight, and strong wind. The place you select can also be influenced by other factors such as the plant types you’ll use. 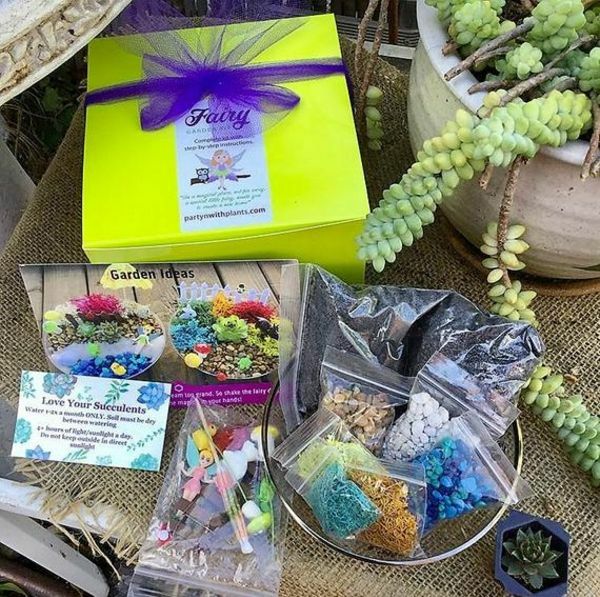 There are fairy garden kits you can try so you can skip the planning stage. All you need is to do is assemble everything into a beautiful masterpiece. The growing media should have good drainage to prevent water clogging. 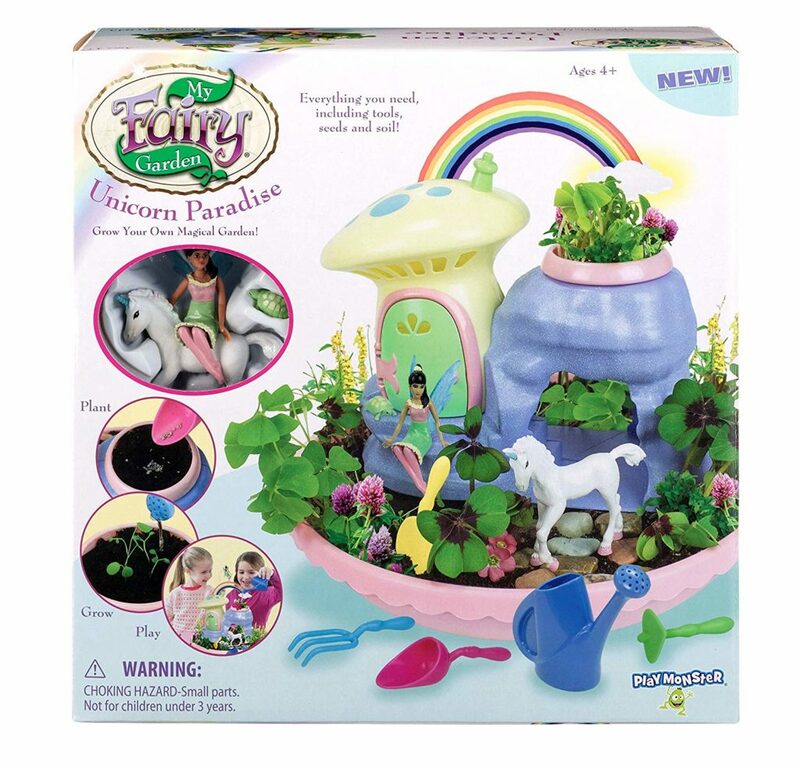 The potting mix containing peat moss and vermiculite is recommended. 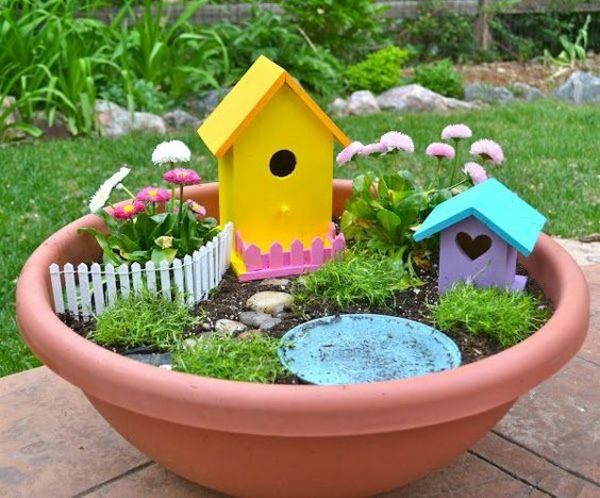 Before planting your garden, place the features, plants, and furniture in their respective spots. This will grant you a chance to examine different layouts without damaging the plants. Once you’ve established the design, it’s time for planting. Start with the plants with extensive root system because they’re likely to disrupt your garden soil the most. After planting, level the garden and water the surface with a watering can. Create paths by dropping small pebbles on the soil. 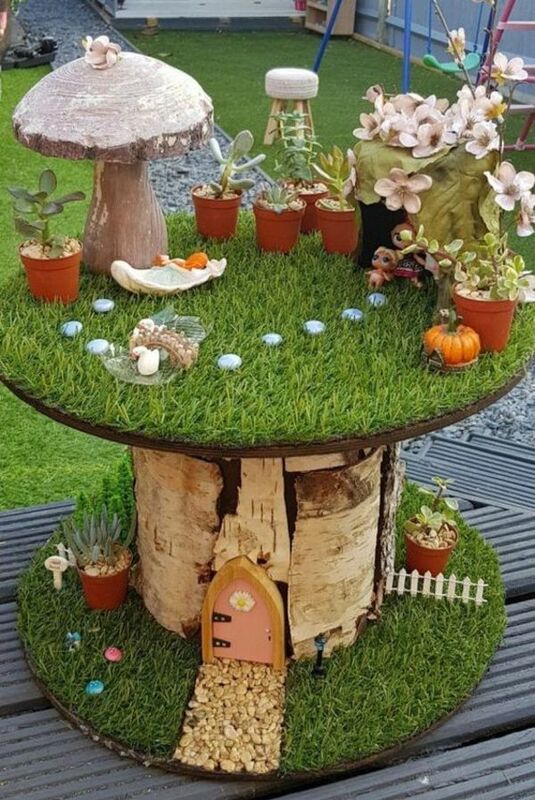 Ensure that all furniture in the garden is natural. 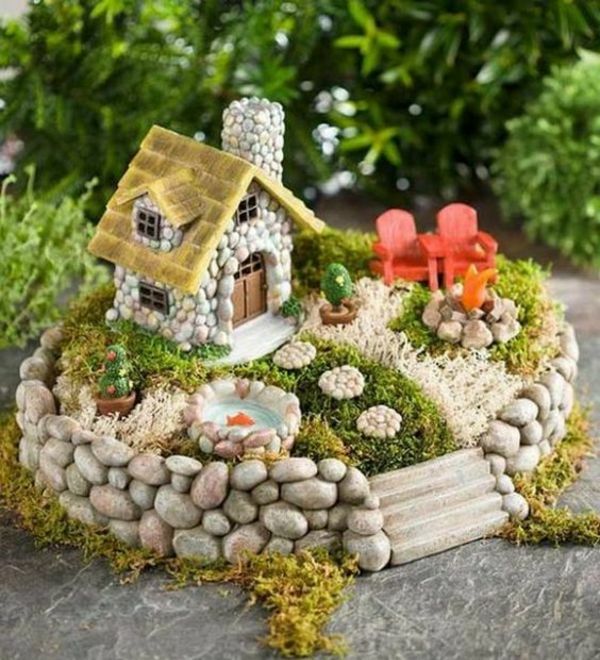 Construct a bench by either using sticks, a leaf, and a bark of a tree or by placing a rock above two small stones. 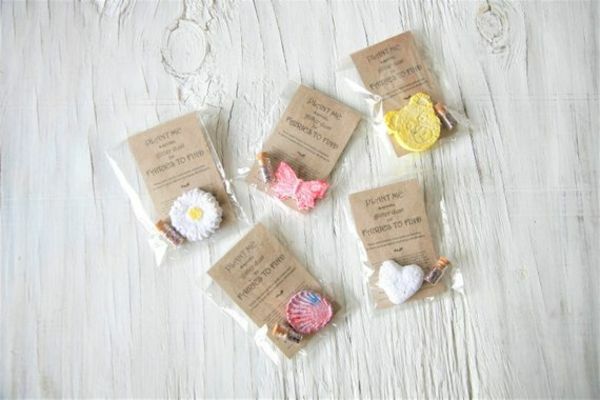 Or you can get beautiful accessories kit. 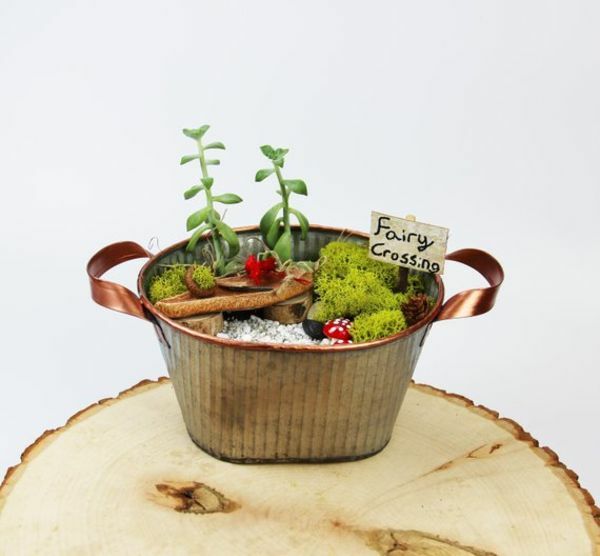 One of thebest indoor gardening ideas we tried is making an indoor fairy garden terrarium. 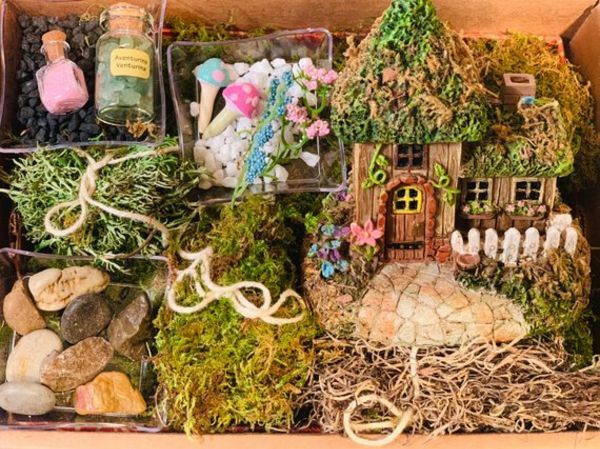 Indoor miniatures are simple to make, just like in the outdoor gardens and a great way to start is by learning how to make a fairy garden terrarium. Terrariums are convenient and you can place them anywhere indoors: at your dining hall or your home office. 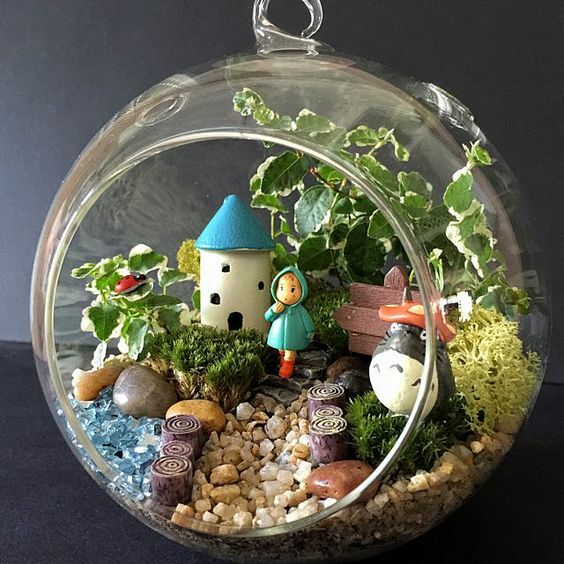 Creating a terrarium is an inspiring and fun project for all ages: from siblings, the whole family, solo gardeners or best friends. 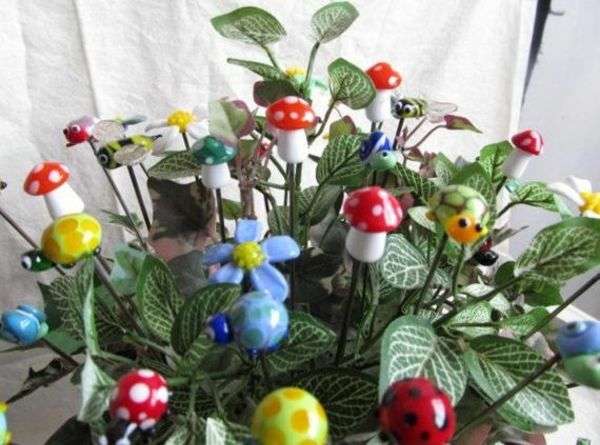 They can also act as a unique gift on various occasions and can be intended to convey a specific message. 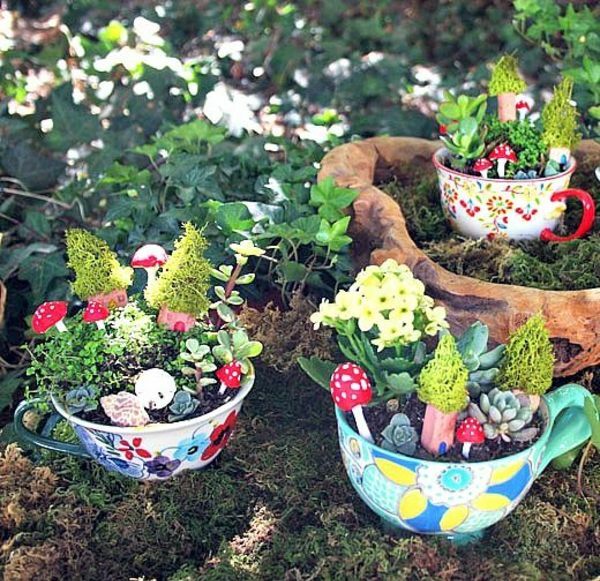 Below are the steps of making a perfect Terrarium. 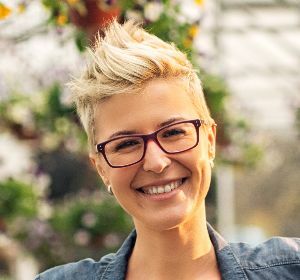 A glass container is the best to use for your terrarium, and are available in various shapes and sizes in gardening stores, nurseries, or florists. 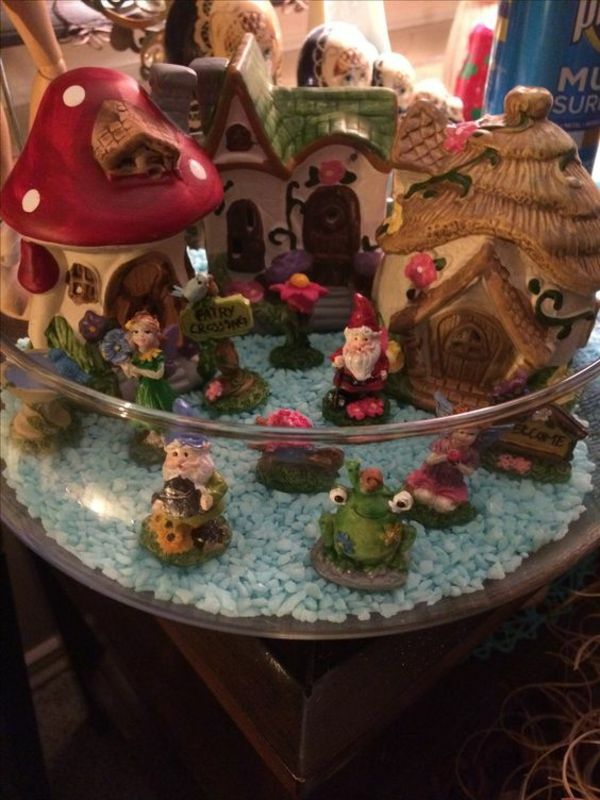 Also, you can use fish bowls, glass candy, or apothecary jars. 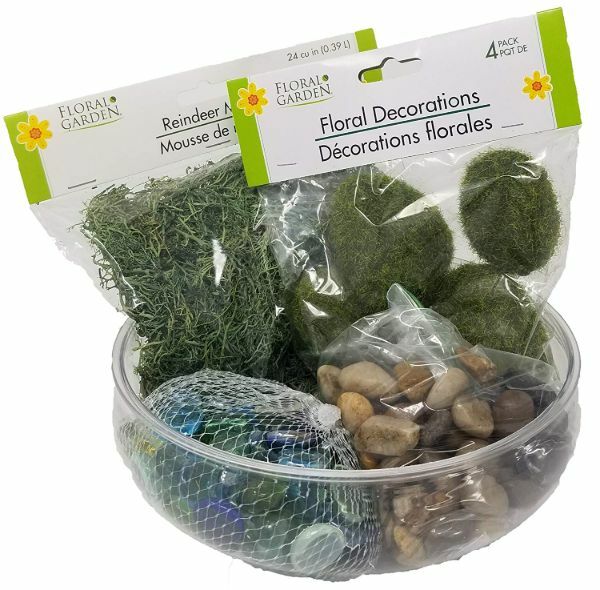 Other materials you need to collect include pebbles, potting mix, activated charcoal, and terrarium plants. 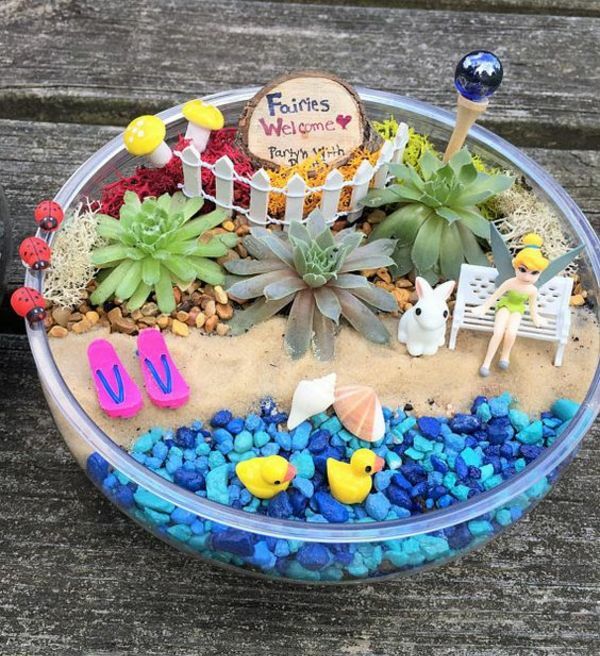 Add layers of pebbles or gravel at the bottom of the terrarium container. This creates good drainage so that after watering the water will not flood the plant. Also, ensure to leave a space on top, so that the container look spacious. 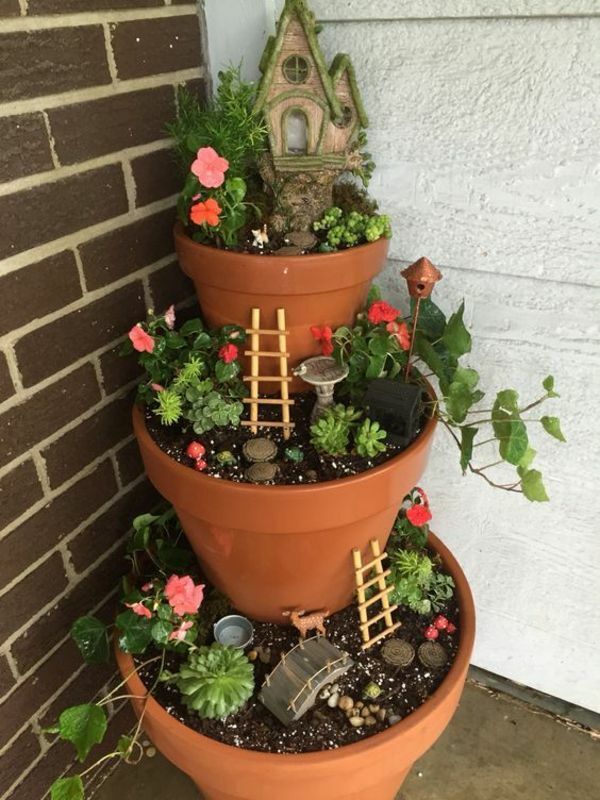 The plants also need good space on top to grow. Add the activated charcoal on top of the pebbles layer. 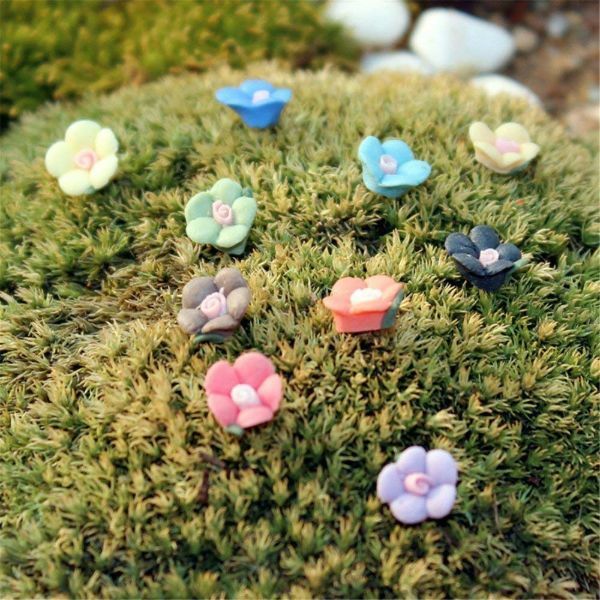 The charcoal is essential as it improves the quality of the miniature world as well as reducing odors, fungi, and bacteria. Put 4 cm of potting mix in your terrarium glass. 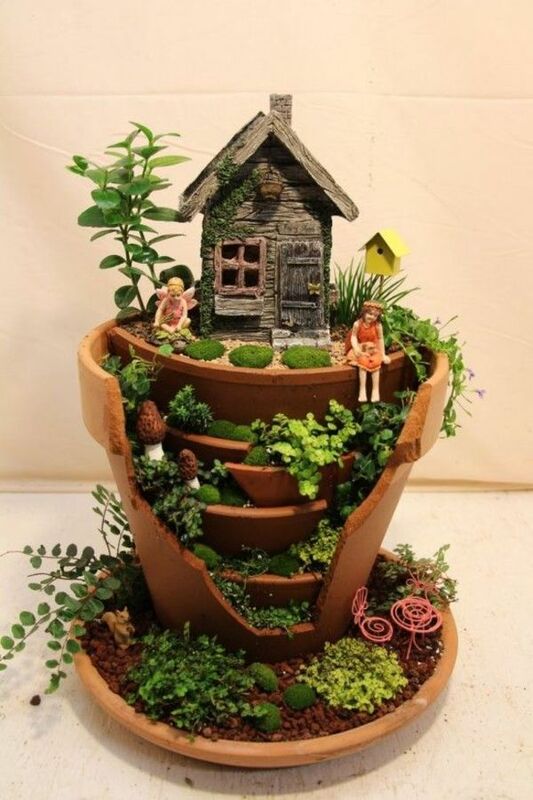 You can also make the top of the potting soil rough by creating valleys and hills. 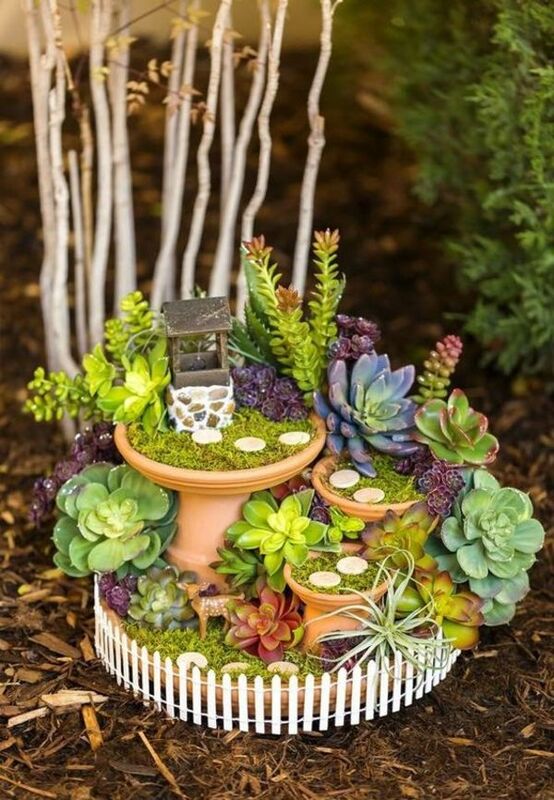 After preparing the terrarium, place the plants with varying heights, textures, and colors above the potting soil. We recomment Low-growing plants. If some of the plants have a dense, fibrous root system, trim them so that they can fit into your terrarium glass. Moreover, you can arrange them according to the heights and angle of view. 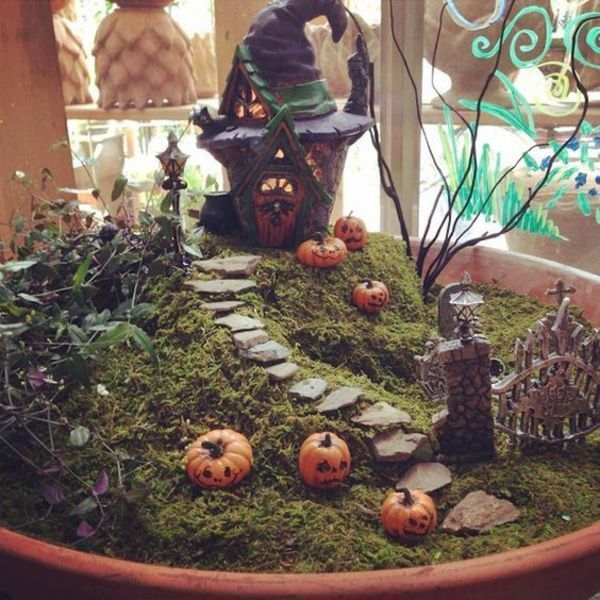 Improve your terrarium scene by adding fairy accents and ornaments. 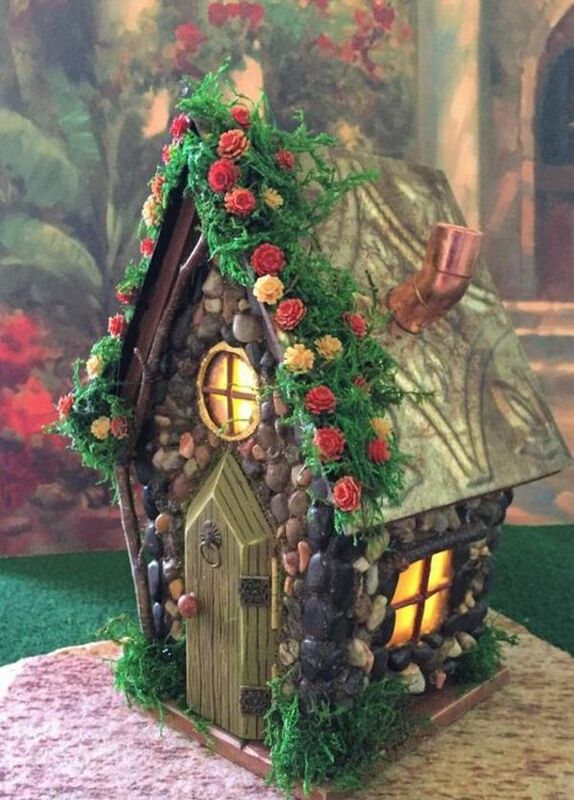 You can also place shells and stones for decorations or color touches. 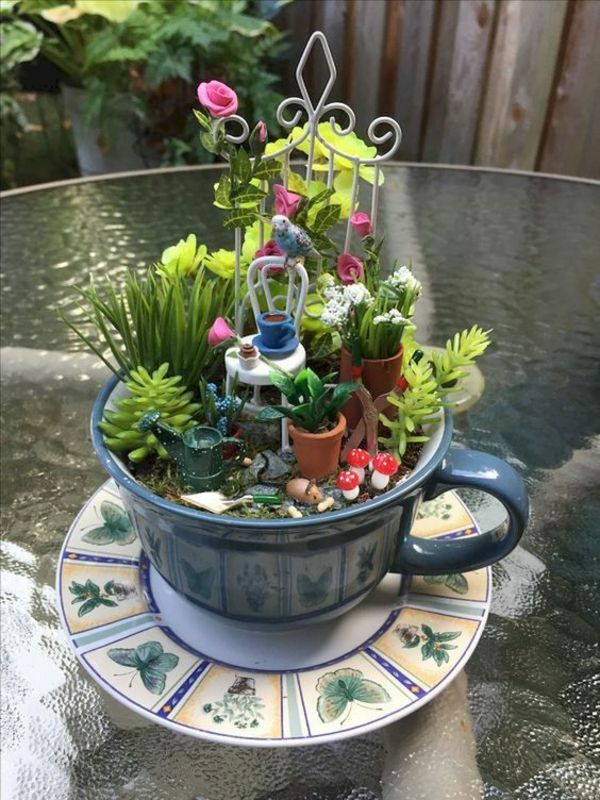 What are the Best Plants for a Fairy Garden? 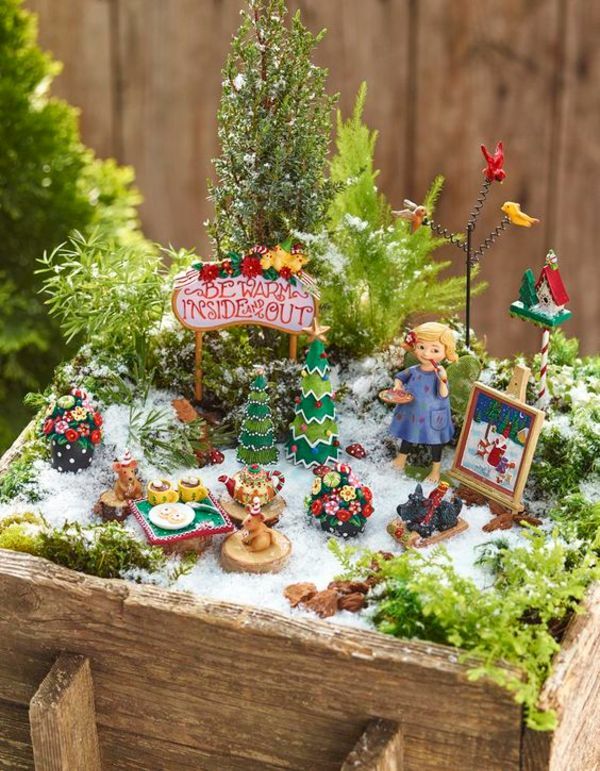 Some of the best plants to use in a miniature garden include silver sprinkles plant, weeping fig, spikiness, polka-dot plant, wood sorrel, arrowhead plant among others. 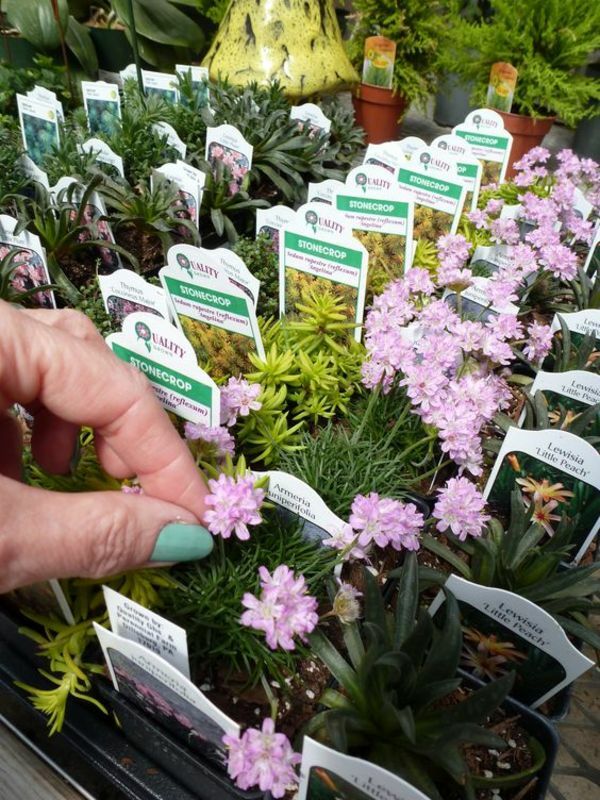 Moisture-loving plants from subtropical and tropical areas are ideal for a terrarium. To answer some of your questions, checkout below. 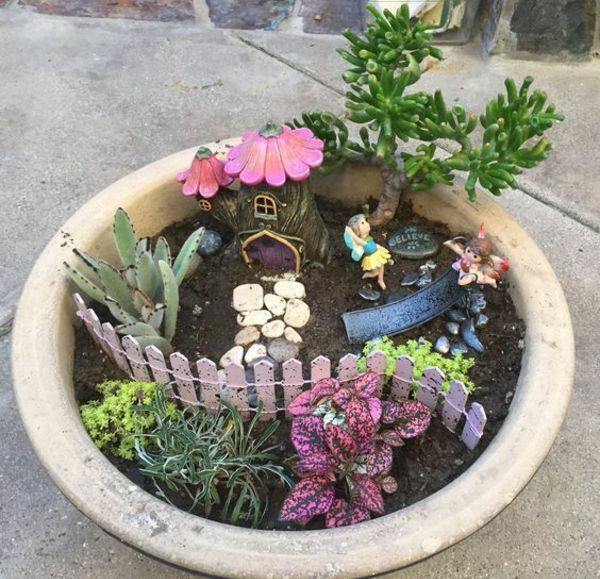 How do I Protect My Fairy Garden from Rain? Indoor gardens may not be affected by rain. 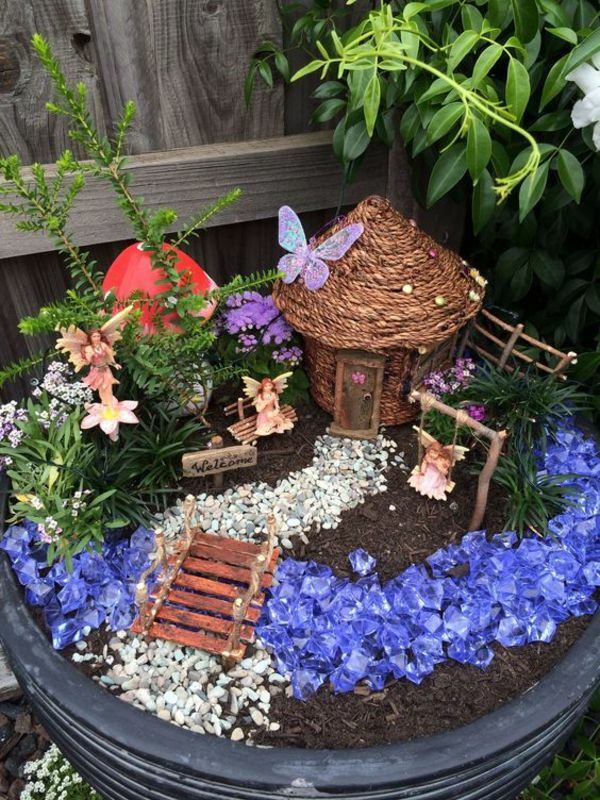 For outdoor miniatures, create a drainage system to drain excess rainwater. You can also prevent damage from rainwater by selecting a protected garden location such as under a tree. 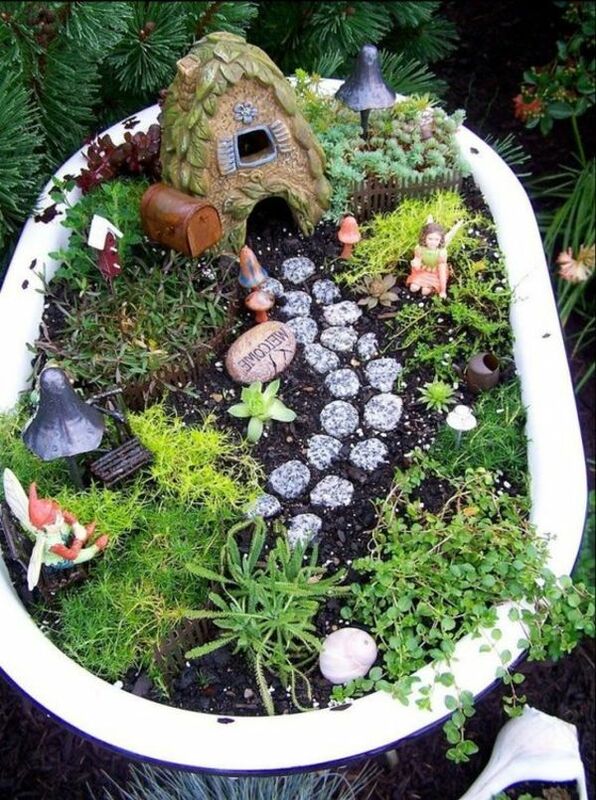 How Often Do You Water a Fairy Garden? Watering requirement depends on your plant type and the place they’re growing. Only water the plants when the moisture at the top centimeters of the soil is dry. The garden should be wet and not saturated. 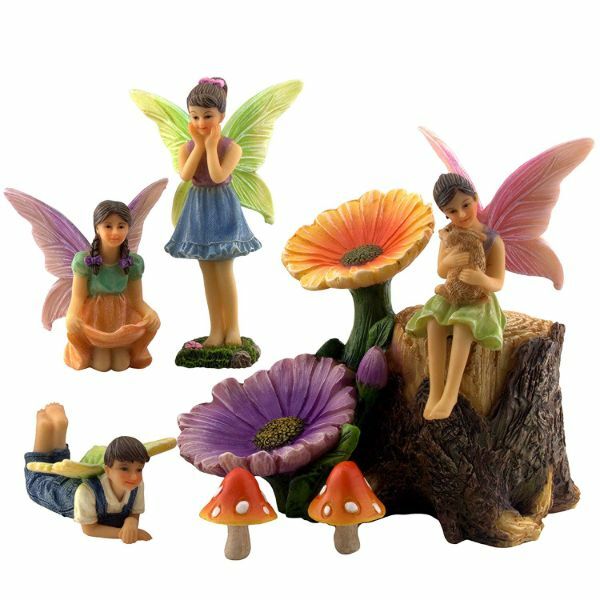 These miniature fairy gardens are suitable for your home, especially if you have young children. 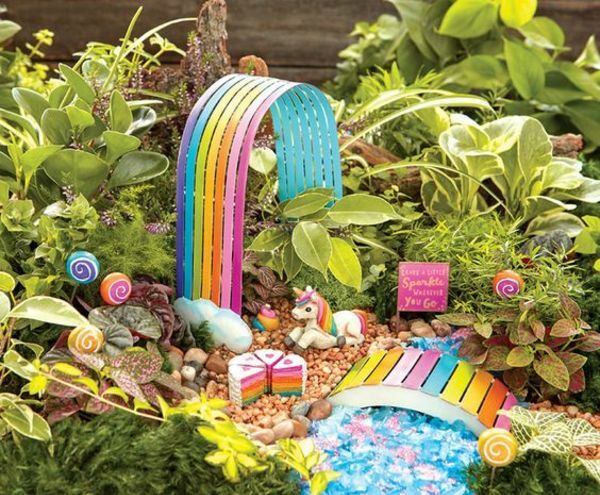 Creating a fantasy garden is such an exciting, enjoyable, and a creative project that your kids can’t resist. 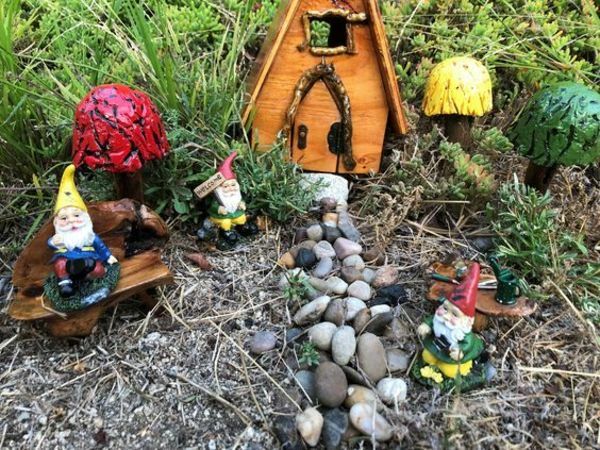 If you love tales of elves, gnomes, and fairies, you can add these magical structures in your home and garden. 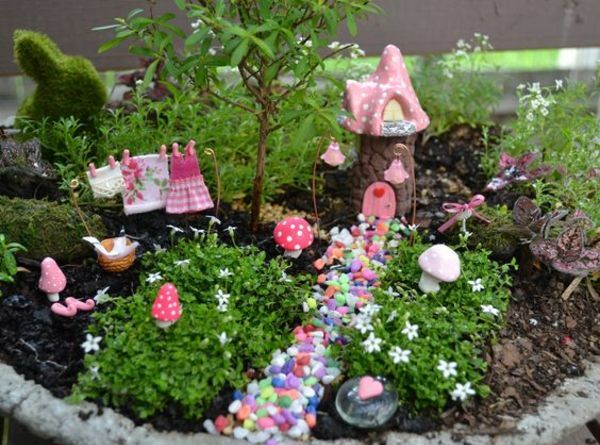 Make your fairy tales real by decorating your garden in unique ways now!